As the weather turns a little colder we're starting to think about Christmas, & how we can turn some of the natural treasures gathered on our woodland walks into festive decorations. 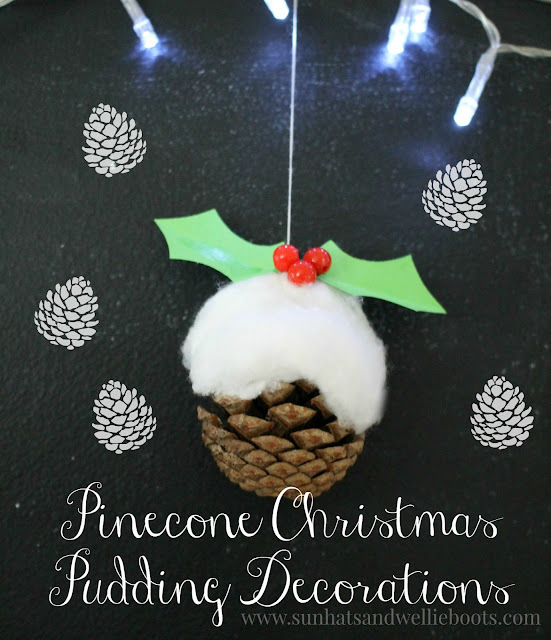 These Pinecone Christmas Puddings make super cute ornaments & are so simple for children to create, plus they cost next to nothing to make. 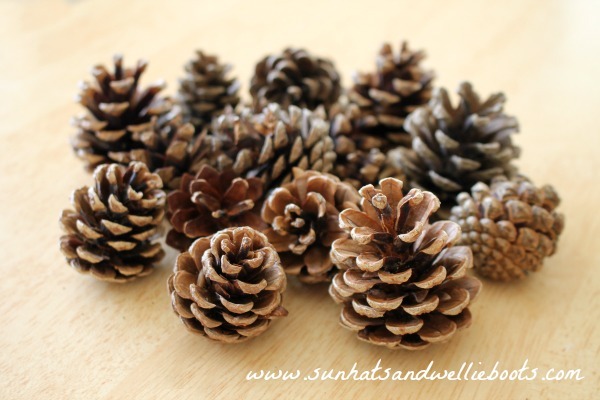 Whenever we go for a woodland walk we always seem to come back with a few pinecones stashed away in our pockets. 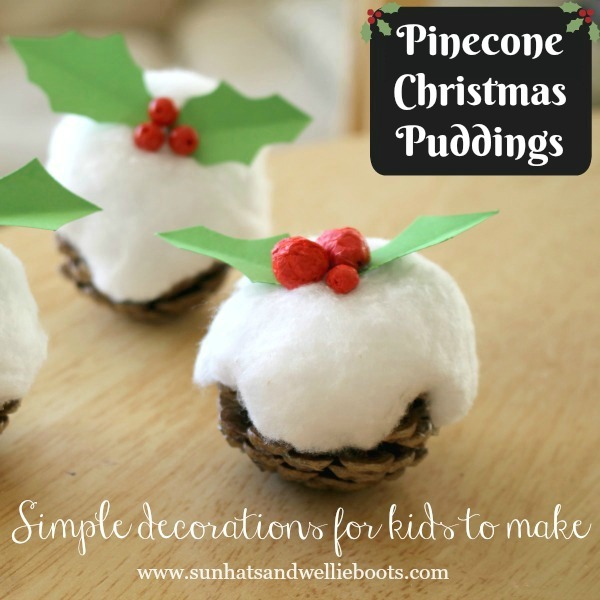 Previously we've turned these natural treasures into Christmas trees for a Small World Play Scene, & had great fun painting them, but this year we thought they'd make cute Christmas puds! To make our Pinecone Puddings we selected pinecones from our little collection that were rounder & broader in shape. If you struggle to find pinecones this shape you could always cut the top off thinner pinecones to create something similar. 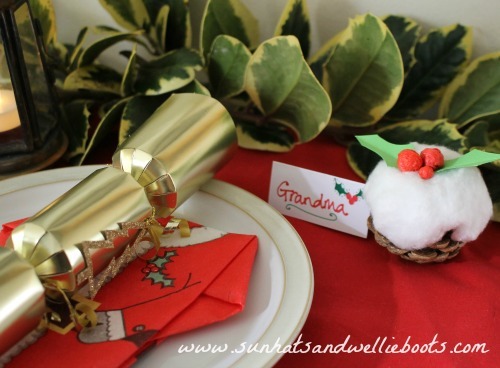 To create the poured cream effect for the top of our Christmas puddings we used a roll of cotton wool, & cut out a round-ish shape as in the picture below. 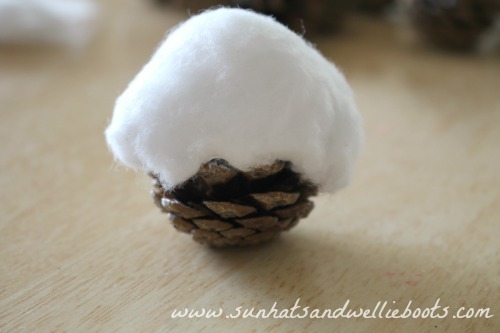 It doesn't have to be perfectly round as you can play with the shape of the cotton wool later when it's attached to the pinecone. 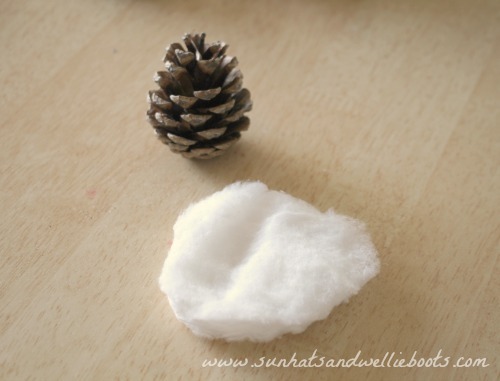 To fix our cotton wool we used a paintbrush to spread PVA glue over the top of the pinecone before carefully molding the cotton wool around the top. The cotton wool can then be easily molded into shape, & the edges can be pulled down slightly here & there to create the running cream. Each little pudding we created was slightly different with more 'cream' on some & less on others, but each one looked fab. 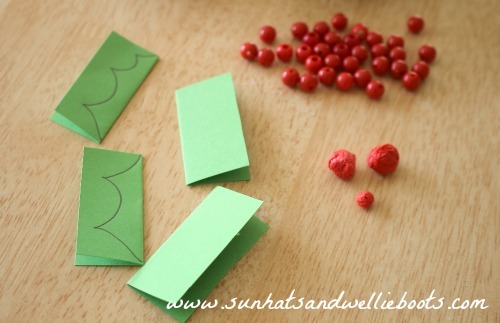 To create the holly berries for the top of our puddings we used red beads which we had in our craft box. Similar beads can be purchased online, or alternatively you could make berries from red tissue paper. We created some by tearing off small sections of tissue paper & rolling them tightly into a ball shape between our fingers, then sealing them with a little PVA glue. For the holly leaves, we folded small sections of green card in half, drew a holly leaf outline on one side & cut them out. To secure these to the top of our puddings we dabbed a little PVA glue onto the cotton wool, added the leaves, then glued the 'berries' on top. 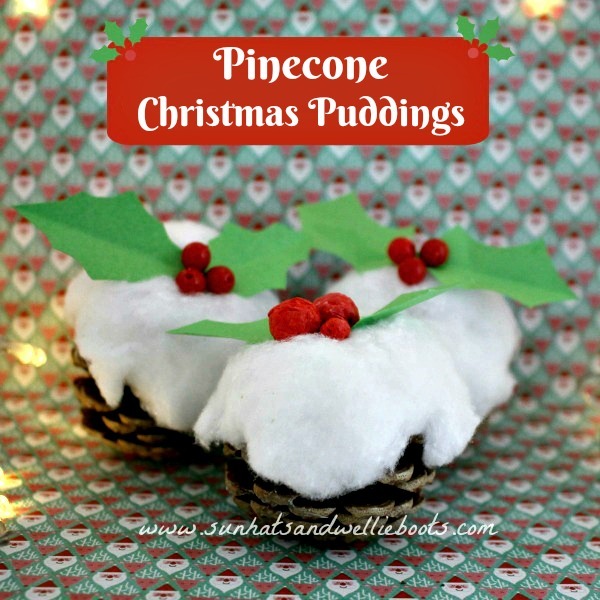 Once dry, our Pinecone Christmas Puddings were ready to share a little festive cheer! These would make sweet little gifts as well as ornaments, & neat table decorations or place settings for Christmas too. If you wish to hang the Christmas puddings up as Christmas tree decorations, simply push a needle & thread through the base of the cotton wool & tie the ends of the thread together to secure. 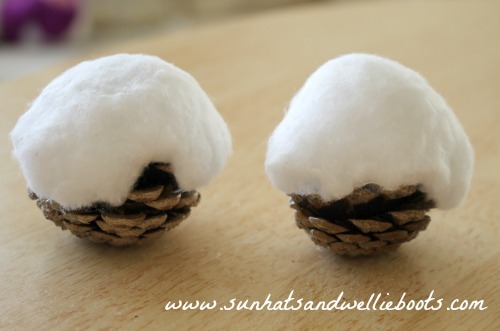 Alternatively, you could tie the thread around the top of the pinecone before you add the cotton wool.